Five Acres Flea Market. Route 46 South. Hours 7 am until dark. Ample parking. Indoor and outdoor market with approximately 100 vendors. New merchandise, sportswear, house wares, antiques, collectibles, crafts, art, produce secondhand items. Restrooms, food available, bar, game room, h/a. Space from $15. c/p Totsy Phillips, Box 295. 07823. (908) 475-2572. Columbus Farmers Market. 2919 Route 206 South. Route 206. Exit 7, New Jersey Turnpike, 5 miles South. Hours: 7:30am to 3pm. Free adm. Ample parking. Outdoor/indoor market with approximately 1,000 dealers. Antiques, collectibles, produce and lots of used merchandise. 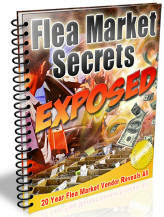 This is a " don't miss" market with an excellent variety of dealers selling just about everything. Some really nice booths here. Good selection of food on premises including a bakery. Good parking, clean restrooms. Over 70 inside stores and specialty shops. Lots of walking here so plan to dress accordingly. Space from $30. c/p Columbus Shopping Center, 2919 Route 206 South. 08054. Campbell's Flea Market. Route 47 at Morristown Causeway, three miles south of Highway 55. Hours 7am-4pm. Indoor/outdoor market with approximately 100 dealers. Lots of collectibles, vintage clothing, crafts, jewelry, housewares. Space from $10. Snack bar. Very picturesque market located in a scenic area. Seasonal market open March-December, c/p Stewart Campbell, Box 131 08316. Flea Market. New Dover United Methodist Church. 690 New Dover Road. Seasonal market open March through December. Ample parking. Approximately 100 dealers. Collectibles, produce, crafts, new and used merchandise, bric-a-brac and lots of garage sale items. Market open March-December. Inside and outside space. Space from $20. Food available, restrooms, ample parking. c/p United Methodist Church, 690 New Dover Rd. 08820. (908) 381-9478. Englishtown Flea Market. 90 Wilson Avenue. New Jersey Turnpike, Exit 9. Hours Saturday 7am-5pm, Sunday 9am-5pm. Ample parking. Approximately 400 dealers. Wide range of merchandise at this market. Booths are well stocked by many quality conscious dealers. Plenty of good food. Well attended market. A good market for commercial vendors. The Englishtown Flea Market has been in business since 1929. Very popular local attraction. Indoor and outdoor space avail from $5 per day. Snack bar, restrooms, h/a. c/p English Auction Sales, 90 Wilson Ave. 07726. (732) 446-9644. Fax (732) 446-1220. Collingwood Auction & Flea Market. Highway's 33 & 34. Hours: 9am to 5pm. Free adm. Ample parking. New merchandise, closeouts, surplus, used desirables, house wares, clothing, jewelry, sports merchandise, country collectibles, antiques, furniture. Food available, restrooms, h/a. Year round market. Approximately 125 inside spaces, 550 outside. Space from $2 Friday. Saturday's $6 and $9. On Sunday. Reservations recommended. Permit required for food. c/p Roland Schneider, 1350 State Hwy 33, 07727. (732) 938-7941 or 919-9821. Fax: (732) 938-4652. Meyersville Grange Antique Mart. Meyersville Road, between Route 78 and Route 24. Hours 8am-3pm. Ample parking. Approximately 35 dealers. Antiques, collectibles and nice quality decorator and crafts items. Market open April-October. Indoor market with space from $15. per table. c/p Ron Miller, 1163 Washington Valley Road. Basking ridge, NJ 07920. (908) 306-0231. Lambertville Antique Flea Market. Rt 29, 1-1/2 miles South of town. Hours 8am-4pm. Free adm & ample free parking. Indoor and outside market with approximately 150 dealers. Market is heavy on quality antiques and collectibles. It also has an indoor mini-mall that is open daily, 10am-4pm. A good stop for the serious collector/investor, shopkeeper or decorator. Nice restaurant. h/a and clean restrooms. Space from $12.. c/p Heidi Cekoric, 1864 River Rd, 08530. Golden Nugget Antique Flea Market. Route 29, two miles south of Lambertville. Ample parking. Hours 6 am to 4 pm. Approximately 150 dealers. Antiques, antique furniture, collectibles, crafts and produce. Indoor shops open daily with outside weekend flea market. Space from $12. c/p Manager, 1850 River Rd, 08530. Manahawkin Flea Market. 629 E. Bay Ave. Garden State Parkway, Exit 63. Hours: 8am to 5pm. Free adm & ample free parking. Indoor/outdoor market with approx 100 dealers. Antiques, collectibles, locally made crafts, produce, new and used merchandise. Space from $20. Snackbars, restrooms, h/a. c/p Jill Petrucci, Box 885. 08050. Meyersville Grange Antique Market. Myersville Road. Hours: 8am to 3pm. Seasonal market open October through April. Indoor market with approx 25 dealers. c/p Doug Winow at 973-538-5935. Montclair Antiques Market. Lackauana Plaza. Ample parking. Antiques, furniture, collectibles, memorabilia, jewelry, glassware, silver, vintage clothing, decorator items, kitchen collectibles, primitives, toys. Indoor market. Snack bar, restrooms, h/a. c/p Mrs. June Emrich, 574 Grove St., Upper Montclair, 07043. Hopatchong Elks Flea Market. Howard Blvd. 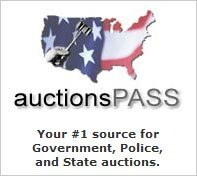 Antiques, collectibles, silver, coins, jewelry, decorator items, toys, advertising memorabilia, as well as the typical used flea market fare. Approximately 25 spaces. Inside market. (201) 398-9835. 100 Elm Street, off Highway 202. Seasonal market open March through Christmas. Ample parking. Approximately 100 dealers. The fee for a space is $15 ($14 for seniors). Varied line of merchandise here with lots of new merchandise, used items, crafts, bric-a-brac and some collectibles. c/p Mary Weiss, 100 Elm St. 08853. (201) 369-3660. Brunswick Bazaar. 710 Somerset Avenue. Route 27. Ample parking. New and used merchandise, garage sale items, house wares, clothing, outdoor items. Snack bar, restrooms, h/a. (201) 846-9838. New Egypt Auction & Farmers Market. Route 537. Between Route 528 and Route 539. New Jersey Turnpike, exit at 7 or 7A. Market opens at 7 am and runs until early afternoon. Free adm., Ample parking. Approximately 100 dealers. All types merchandise. Many unusual shops here that one would not expect to find at a flea market but makes for an interesting place to poke around. Antiques and collectibles auctions held on Sundays starting at 12 am. Space from $6. Inside space available. Camping onsite for sellers. c/p Les Heller, Rt. 537. 08533. The Market Place. 6839 Ramona Boulevard. I-10, Lane Avenue, South. Indoor, outdoor market with approximately 750 dealers. Wide range of new merchandise, antiques, collectibles, crafts and produce. Space from $6. c/p Rick Waller. 6839 Ramona Blvd. 07102. Hudson County Church Flea Market. 1069 - 89th Street. Ample parking. Antiques, collectibles, glassware, silver, coins, linens, vintage clothing, memorabilia, country collectibles. Food available, restrooms, h/a. Indoor market. Market open June-September. (201) 861-9798. Patterson Flea Market. Rt. 22. Outdoor market with approximately 50 dealers. Mostly secondhand merchandise. Mountains of trash along with some treasures. Space from $15 per day. Market open April-October. c/p Patterson Flea Market, Rt. 22, 12563. (914) 878-6660. Perth Amboy Moose Lodge Flea Market. Moose Lodge, Convery Blvd., Route 35. Ample parking. Antiques, country collectibles, jewelry, watches, linens, vintage clothing, memorabilia, kitchen collectibles, decorator items, crafts. Food available, h/a, restrooms. (201) 382-3680. Arbor Fire Department Flea Market. 1780 W. 7th Street. Ample parking. Antiques, collectibles, coins, silver, linens, vintage clothing, memorabilia, advertising items, used merchandise, new merchandise, crafts. Food available, restrooms, h/a. (201) 968-6386. Pleasantville Indoor Flea Market. 306 S. Main Street. Hours 9am-5pm. Lots of parking. Approximately 50 dealers. New and used merchandise, souvenirs & novelties, jewelry, both fine and costume, house wares, sportswear, collectibles, electronics, sports, fishing and beach merchandise, crafts. Indoor/outdoor market. Space from $10. per day. Food available, restrooms, h/a. Camping nearby. 5 miles from Atlantic City. (609) 344-5079. Rahway Italian-American Club Flea Market. Corner of New Brunswick & Inman Avenue. Approximately 75 table top dealers. New merchandise, sportswear, jewelry, used and secondhand items, some collectibles. Snack bar. Space from $15 per table. c/p Italian-American Club, 530 New Brunswick Ave. 07065. (732) 574-3840. William Spencer's Flea Market. Creek Road and I-295. Hours 9am-5pm. Ample parking. Outdoor market with approximately 150 dealers. Wide range of goods, collectibles, glassware, silver, antiques, advertising items, paper goods, coins, primitives. Quality oriented market. No new merchandise. Snack bar, restrooms, h/a. Many special events during the season. Market open March-December, Space from $50. Well attended market. c/p Isabel Michaski, 118 Creek Road, 08054. (609) 235-1830. Fax: (609) 235-8552. Elms Near Flea Market. Vincetown-Lumberton Road. Ample parking. Antiques, collectibles, new and used merchandise, jewelry, house wares, closeouts, surplus, lots of bric-a-brac. Inside & outside spaces. Snack bar, restrooms, h/a. Auction on Mondays. U-Sell Flea & Farm Market. Delsea Drive and Gant Avenue. Ample parking. Approximately 75 dealers. New merchandise, lots of general flea market and garage sale items. Crafts, collectibles, produce. Snack bar, restrooms, h/a. Rovers Flea Market. South Delsea Drive. Ample parking. This market has some new merchandise but is heavily weighted with used merchandise, some collectibles, crafts, produce. Snack bar, restrooms. Space from $2. Watchung Antiques Market. Ample parking. Antiques, collectibles, nice furniture selection, lots of quality decorator pieces, silver, coins, glassware, primitives, kitchen collectibles, primitives, linens, vintage clothing, fine and estate jewelry. Snack bar, restrooms, h/a. (201) 622-3189. Cowtown Flea Market. Rt 40. 8 miles east of Delaware Memorial Bridge. Indoor and outdoor market with approximately 400 dealers. Wide variety of items at this market. Antiques, collectibles, crafts, new & used merchandise, lots of western wear and western items here. Market conducts livestock sales on Tuesday's and has a rodeo on it's premises on Saturday nights. One of the area's better markets. This one has always reminded me of a big Texas flea market more than an eastern market. Space from $15. c/p Robert Becker, 780 Rt. 40. Pilesgrove, NJ 08098.